No one likes to get scolded. 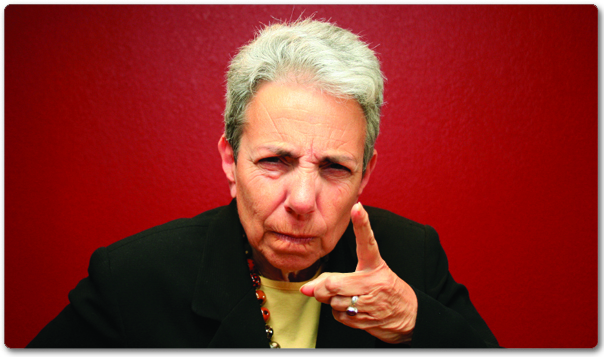 But, if you disregard this one, you deserve to be! Go from the known to the unknown, one generation at a time. Start with yourself and document the information as you go back from one generation to the next. One of the most important lessons (and time-savers) you’ll learn as you embark on this great adventure is to not skip generations. When you first start, you’ll be anxious to forge ahead and find as much as you can, as fast as you can! But, to do it properly, and to not waste your valuable time, remember this: Don’t start working on the next generation until you’ve completely verified the current generation. Proceed from the known to the unknown, one generation at a time. Isn’t it nice to have a magic formula? Every endeavor in life should have one. And this is ours. 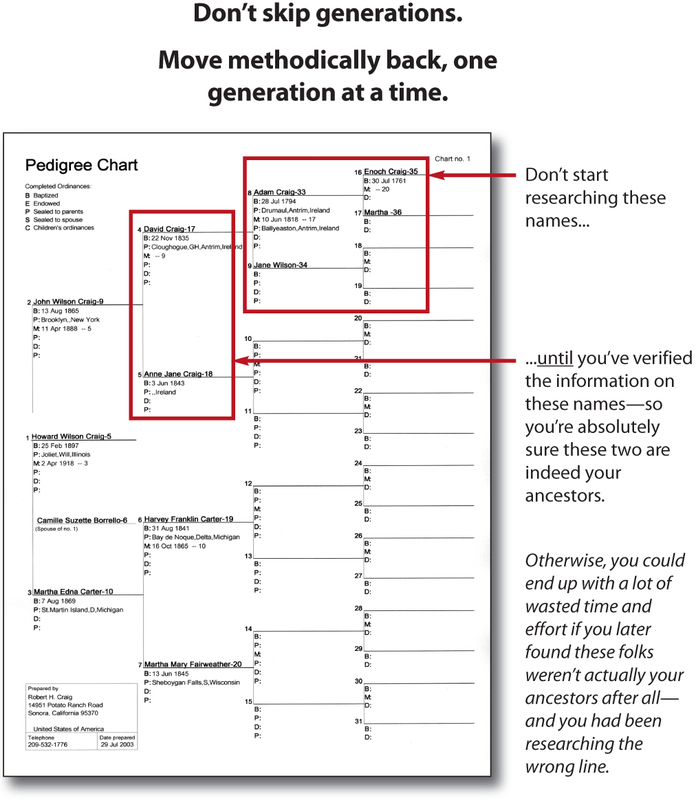 Avoid the temptation as you look at your pedigree chart (or as you’re downloading information from the Internet) to find an ancestor that looks really interesting and start spending time researching that ancestor before you’ve verified a solid link-by-link, generation-by-generation certainty that that person is indeed your correct ancestor! Otherwise, you could spend time tracing this “ancestor” back for several generations only to find out later that you had the wrong person to begin with. So…take your time. Start from the “known.” Get a death certificate, then look for the marriage certificate, then look for the birth of the marriage partners, then look for their parents’ records, and so on. As you lock in one generation, then you proceed to the next…then to the next, and then the next. This way you methodically build a family history that will be a true and accurate legacy for your family.